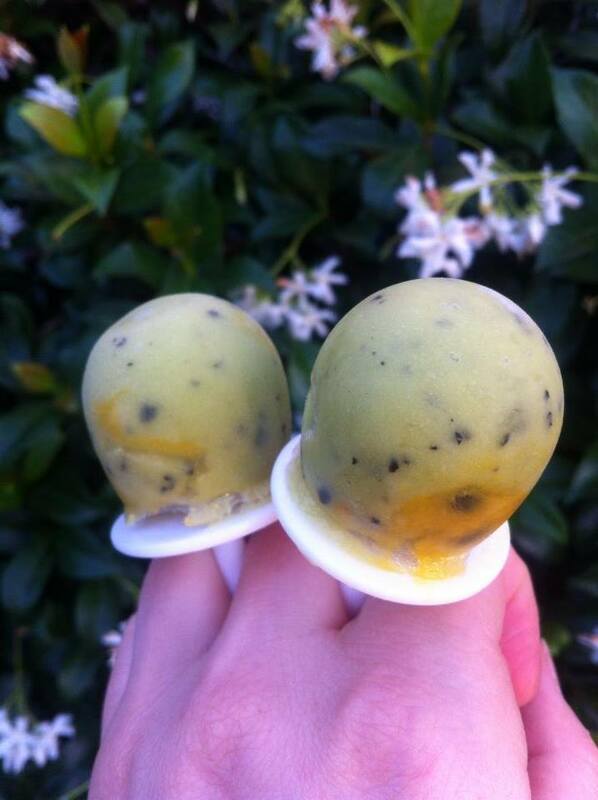 Blend all ingredients in a blender then pour into ice block moulds. Note: If you are using larger ice block moulds I would triple the measurements. This is a very quick and easy dinner you can throw together in less than 10 mins. Feel free to use whatever veggies you have in the fridge or any other type of fish. 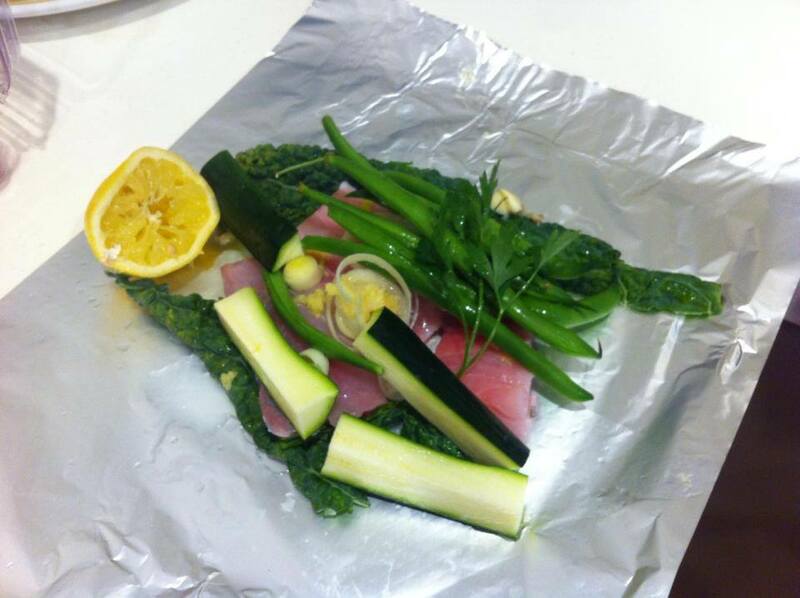 Take a piece of foil and make sure it is big enough to seal over the fish and veggies. Lay the kale leaf down first, then throw the fish on top and rub the garlic and ginger over the fish. Chuck the veggies on top and drizzle with the lemon juice and stock. Pop in the oven for around 10-15 mins until the fish is cooked to your liking, then serve! You can get very imaginative with this one and use whatever veggies, meat and condiments you like. I have included the ingredients I used as it made a great combo. Take the three nori sheets and lay the lettuce in the middle then top with the rest of the ingredients. 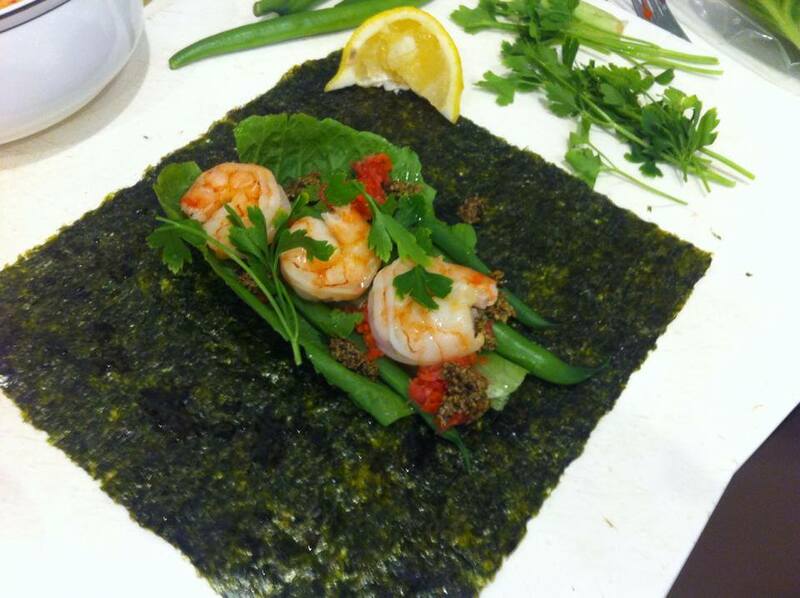 Drizzle lemon juice over all over the nori sheet as this makes it softer and easier to roll. Roll it up and enjoy! This is something mum made for dinner a while ago and it was so delicious I thought I would share it. I haven’t put quantities here as you can just have as much or as little as you like. 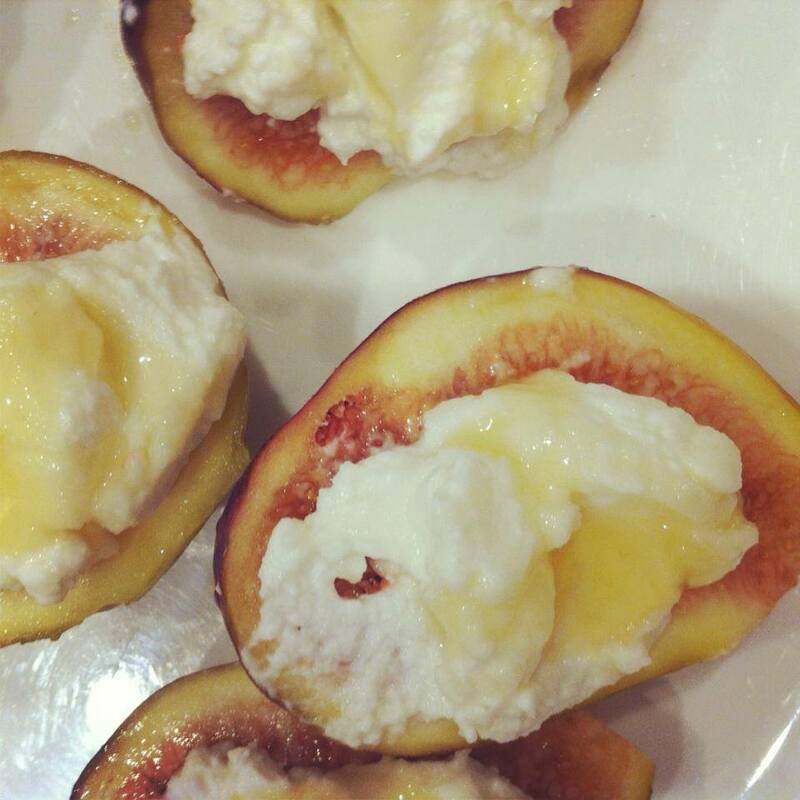 Smear some goats cheese onto each fig half and drizzle with a bit of olive oil. Enjoy!